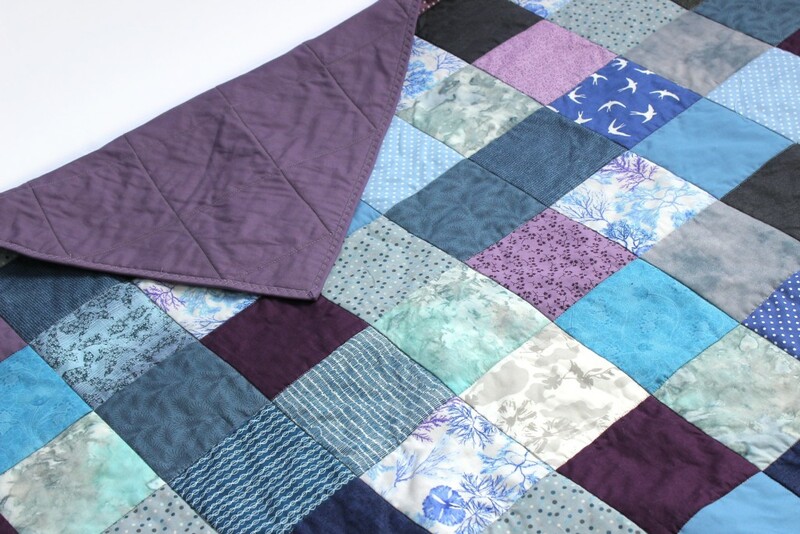 A pure cotton quilt in dreamy blues and purple tones. 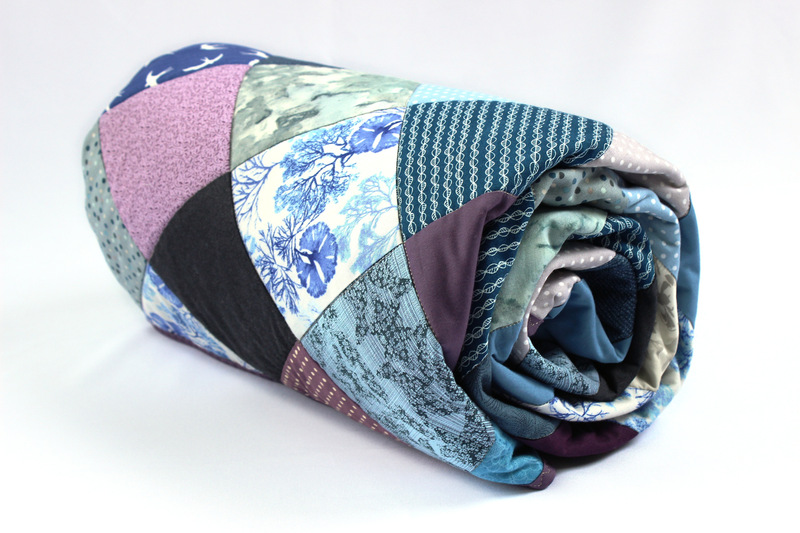 Inspired by beautiful mermaid tails. 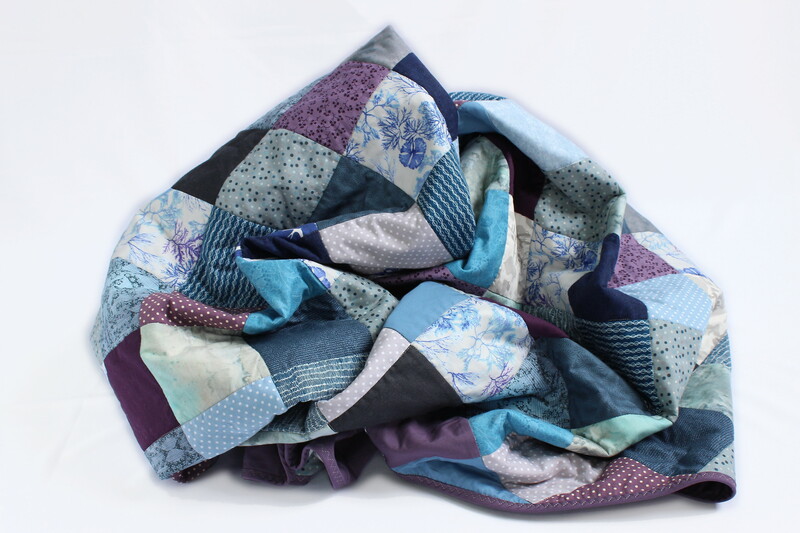 Backed with pure cotton in dusky purple. 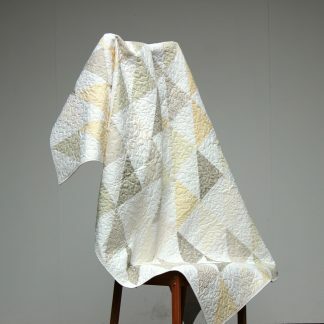 What is this quilt made of? 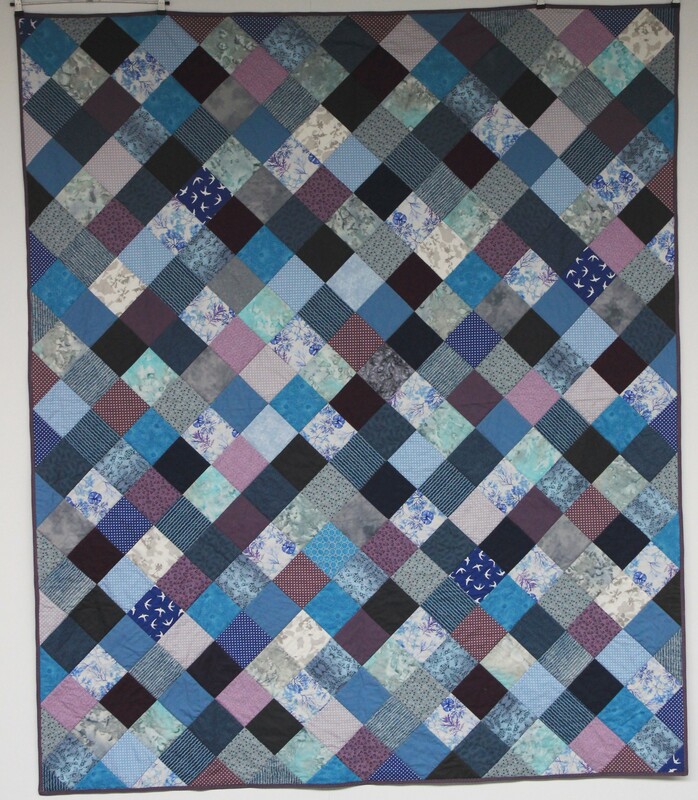 This quilt uses cotton for the top and backing with a pure cotton wadding in the middle. 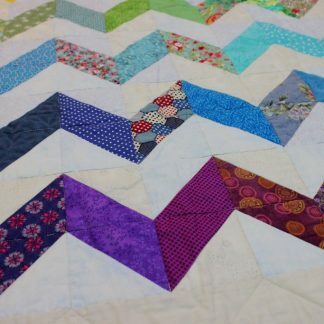 How do I clean this quilt? 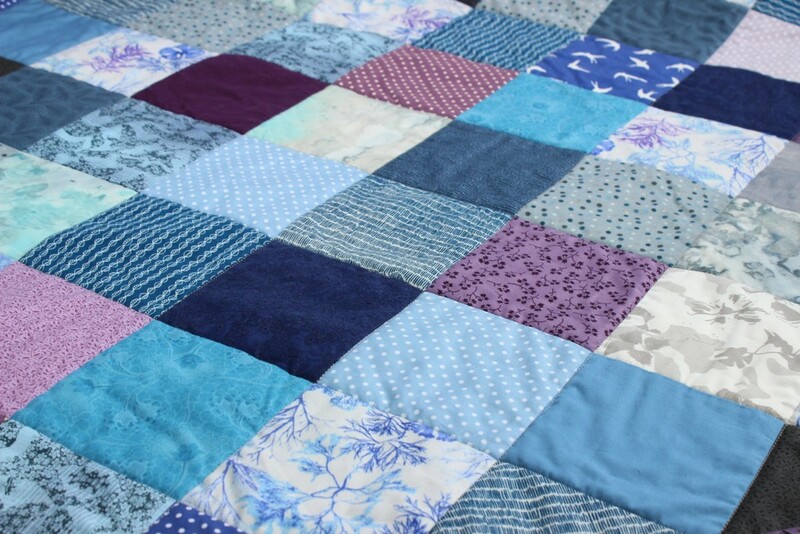 It is machine washable at 30c. Gentle spin. Do not tumble dry. I really like this but can you make it smaller/bigger? Yes! 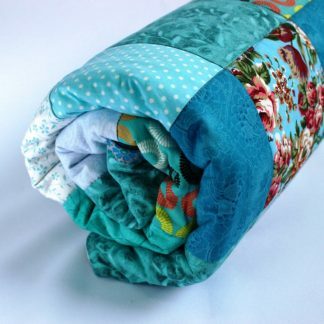 Please message me with your requirements and I’ll do my best to create a custom made quilt just for you.